Rocky Mountain Paper Crafts: Legacy Albums-Buy 1, Get second 1/2 off! Looking for a great way to preserve and protect your memories? We’ve got you covered! 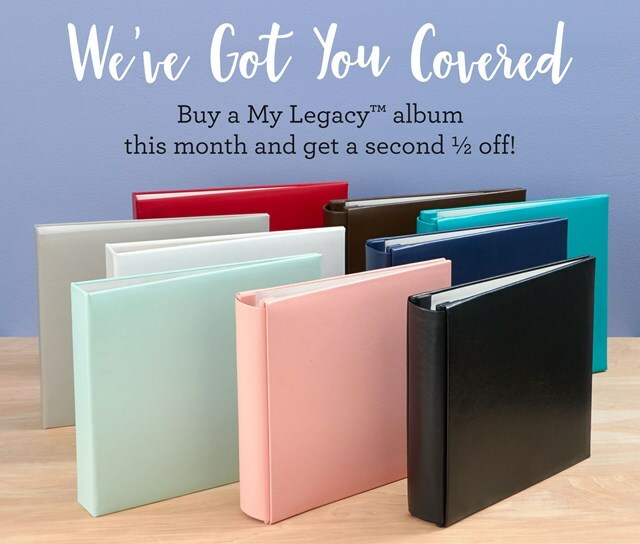 In June, buy one My Legacy™ album and get a second at 50%-off! Choose from our D-ring and post-bound styles, both of which come in a selection of 9 colors! You can view all of the albums here!